MOSCOW, October 12. /TASS/. Issues of Russia’s domestic and foreign policy, including the situation around the Russian Orthodox Church in Ukraine, were in focus of Russian President Vladimir Putin’s meeting with members of the Russian Security Council on Friday evening, Putin’s press secretary Dmitry Peskov told reporters. 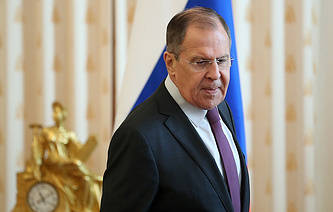 "Participants in the meeting discussed issues of Russia’s socio-economic agenda and touched upon international problems," he said. "They also exchanged views on the situation around the Russian Orthodox Church in Ukraine following the notorious decision of the Ecumenical Patriarchate of Constantinople." The meeting was held in Moscow upon Putin’s arrival from the Belarusian city of Mogilev where he had attended the Forum of Russian and Belarusian Regions along with Belarusian President Alexander Lukashenko. 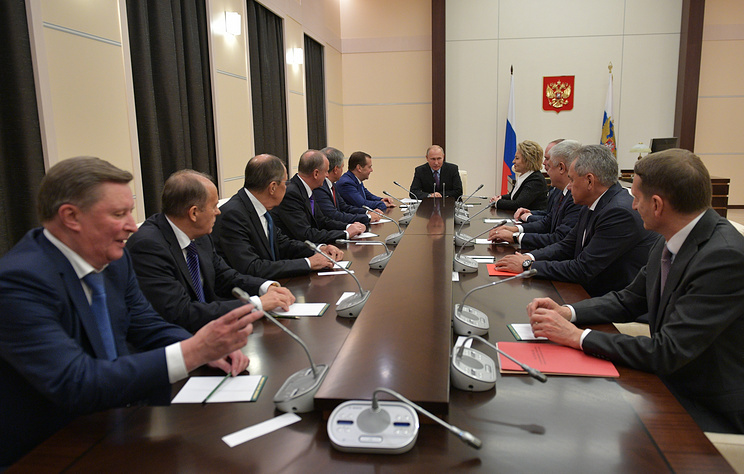 The meeting was attended by Prime Minister Dmitry Medvedev, speakers of both houses of the Russian parliament - Vycheslav Volodin of the Russian State Duma lower parliament house and Valentina Matviyenko of the Federation Council upper house, presidential administration chief of staff Anton Vaino, secretary of the Russian Security Council Nikolai Patrushev, Interior Minister Vladimir Kolokoltsev, Foreign Minister Sergey Lavrov, Defense Minister Sergei Shoigu, director of the Federal Security Service Alexander Bortnikov, director of the Foreign Intelligence Service Sergei Naryshkin, and presidential special envoy for environment protection, ecoolgy and transport Sergei Ivanov.